In late August, students from two local schools joined us at Mt Burr Swamp for a day of learning and fun. Newbery Park Primary School’s year 3/4s, along with a group of students from Millicent High School, spent some time continuing our revegetation efforts on the southern and eastern edges of the main wetland, planting several hundred seedlings from a large range of species. The plants were grown by the schools in their on-site nurseries as part of ForestrySA’s biodiversity corridors program, in which three local schools work with ForestrySA and NGT to create habitat links between Native Forest Reserves within plantations and learn about our local environment at the same time. While Mt Burr Swamp is privately-owned by NGT and not part of the forestry estate, ForestrySA were nevertheless happy for us to use some of the extra seedlings produced by Millicent High this year, given that our goals are identical – to recreate habitat links between remnants of habitat. Thank you ForestrySA for your support! On the day, students rotated between two structured activities: planting and investigating the wetland’s waterbugs. We discussed why, even though these aquatic macroinvertebrates are small and may seem insignificant, they are important in the ecosystem and what they can tell us about the environment. 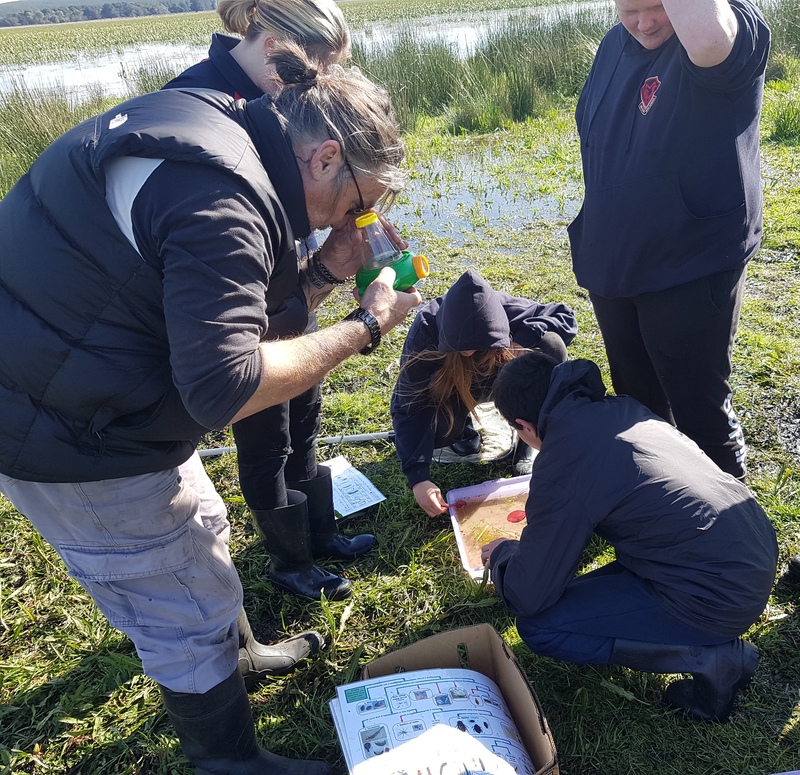 We found backswimmers, water beetles, water fleas, beetle larvae, shield shrimp, and damselfly larvae – we also saw lots of frog eggs and even caught a couple of frogs! This group of Millicent High students has been predominantly working on the Honan-Woolwash corridor this year, and as they are very experienced tree-planters, they were excellent role models and assistants to the younger students. The Newbery Park students also enjoyed some unstructured free play time before hopping back on the bus to return to school. The following week a team of NGT staff headed back to the property to plant a further ~1500 seedlings, also grown by Kathy and the students at Millicent High. This concludes our tubestock planting for this year at Mt Burr Swamp, but we are getting ready for the next round of direct seeding. Finally, in some positive news for those who helped us with our earlier plantings several weeks ago, new growth can already be seen on seedlings which were planted in early winter! A big thank you to the students who helped with planting this year, and especially to Millicent High School for the extra plants.